In this mornings post I’m going to give a little write up to the Wunder Radio app, winner of best radio app at Macworld 2008. Wunder Radio does pretty much what it says on the tin, it’s an Iphone app which allows the user to connect to hundreds of local and internet radio stations across your area and across the globe. Wunder Radio comes with most of the features you would hope you’d find. You can search for a radio station, or browse through categories of genre, location etc. Wunder Radio has the ability to show you local radio stations near you via GPS (invaluable for local news, weather, traffic reports etc. 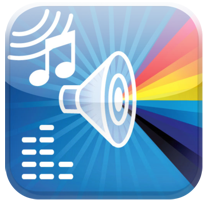 )You can also favorite a radio station at the touch of a button. Another great feature is that it displays similar radio station suggestions along with the one your tuned into, making it easy for discovery of new stations. If you can’t fine the radio station your looking for then you can even enter your own URL to add it to your library. When your listening in to your favorite station, Wunder Radio will give you recommendations of ‘stations like this’ allowing you to find new stations to your taste. What makes this app really good is that it is one of those few apps that just work when you want them to. I’ve been using it for a little while and it always buffers relatively fast, even on a slow connection. And i have never had it crash. The downside is that it eats into the battery like theres no tomorrow. It also costs im afraid, the heft price of £3.49 (or about $5.01), but I have to say that it is definatley worth it if you love your radio.